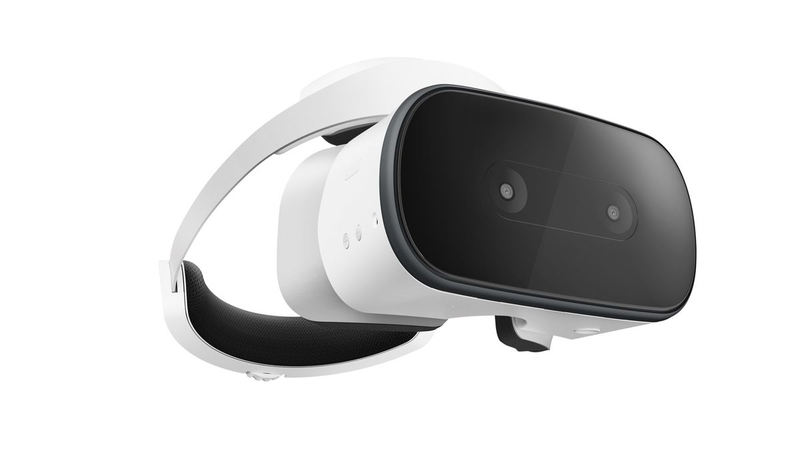 It was a just over two weeks ago that Lenovo’s Mirage Solo headset stopped by the Federal Communications Commission (FCC), and on Tuesday, Lenovo made it official. 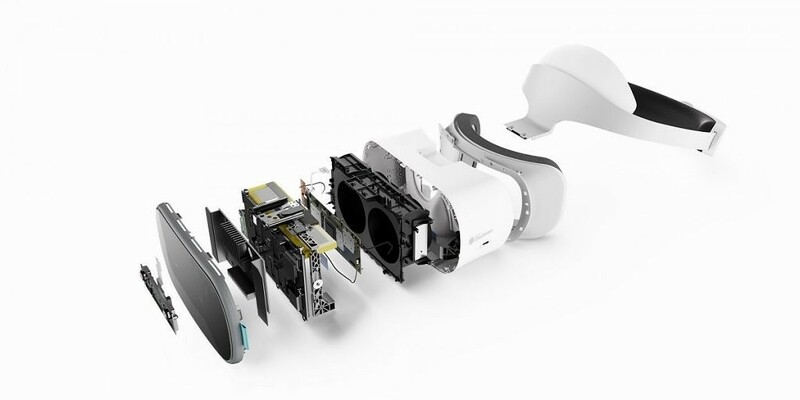 At a press event during the 2018 Consumer Electronics Show, the company took the wraps off the Mirage Solo, a self-contained virtual reality (VR) Google Daydream headset with inside-out tracking. The Mirage Solo’s the first with Google’s WorldSense technology, which uses a two-camera array to track your location in three-dimensional space. It offers six degrees of freedom (6DOF), letting you duck and dodge behind digital walls without the need for a controller, and the tracking isn’t just limited to your head. It keeps abreast of your body movements, too, within a range of about five feet. The Mirage Solo’s smooth plastic exterior, which sports an adjustable head strap, houses hardware powerful enough to drive VR apps and games. There’s a 5.5-inch Quad HD (2560×1440) display with a 110-degree field of view, a Qualcomm Snapdragon 835 processor paired with 4GB of RAM, and 64GB of UFS storage (expandable via microSD slot). It’s all powered by a 4,000mAh battery that Lenovo says lasts up to seven hours. The Mirage Solo’s backward compatible with the existing Daydream catalog of more than 250 apps and games, and it takes advantage of Google’s Project Seurat, which optimizes complex VR scenes for mobile platforms. The Mirage Solo ships with a controller nearly identical to the one that comes with Google’s Daydream View headset, with the exception of new volume and power buttons. Lenovo hasn’t revealed a specific ship date yet, but expects the Solo to hit retail in the second quarter of 2018 for $450. Lenovo’s positioning the Mirage Solo as the perfect compliment to its VR180 Mirage Camera, which it announced separately on Tuesday. 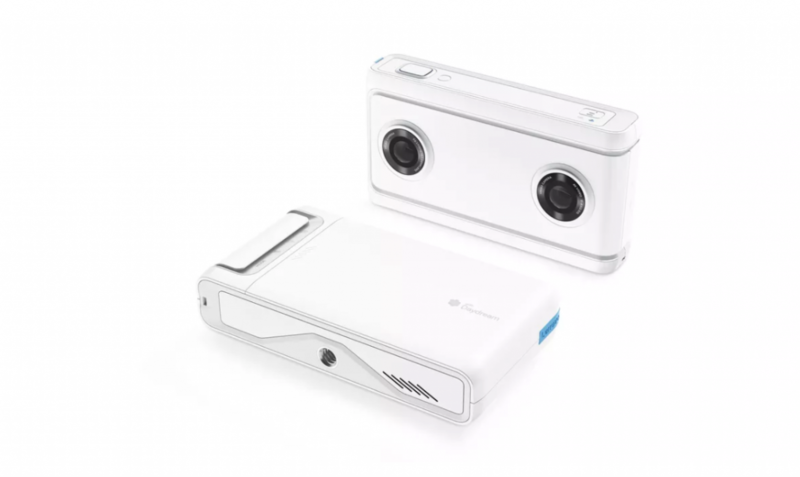 Viewing 180-degree footage and photos on the Solo is as easy as popping the VR180’s SD card into the headset and pulling up the build-in video player. Under the hood, the Mirage Camera packs a 1/4-inch camera screw for tripods, two 13MP lenses, a Snapdragon 626 processor, a battery that lasts up to two hours on a charge, 16GB of storage, and the aforementioned microSD card slot. It’ll ship alongside an Android and iOS companion app that lets you view footage on your smartphone, or transfer it to a PC for editing. Lenovo says it’ll be priced “under $300”.